John is a Colorado native who has been in the general practice of law for over 38 years. 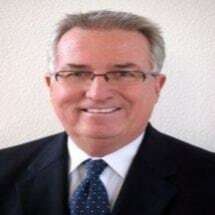 John began his career in 1975 as an associate with H. Earl Moyer, then became an associate attorney at Benedetti, Opperman, Martinez, and Kokish in 1976, a partner in Opperman, Kokish and Vranesic, P.C., in 1979 and in January 1981 became a partner in Moyer, Beal and Vranesic, a general practice firm located in Jefferson County. Due to the retirement of his remaining partner, H. Earl Moyer, in September 2013, John joined McGuane and Hogan. From his first year of practice to now, over 50% of his practice has been concentrated on family law matters, including complex property division, litigation of pre-nuptial agreements, paternity, child custody and post-decree matters. Recognizing his clients’ needs and legal rights, John has represented his family law clients in personal injury, workers’ compensation, legal professional negligence actions, and because divorce affects property rights, he prepares wills. John probates estates and has represented parties in estate litigation, such as proving a common law marriage or paternity to decedents. John has been married for 39 years, has two children and three grandchildren. Away from the office he enjoys golf, hiking, cooking and traveling.